Most of us know what a service animal is, but the use of emotional support animals is becoming more common. An emotional support animal is a companion animal that provides benefits to a person who has an emotional or mental health disorder. In order to be characterized as an emotional support animal, documentation from a health professional must be obtained for the animal. Mostly commonly, these animals are dogs, but other animals can also serve as emotional support animals. It is becoming more evident that these emotional support animals can provide some real benefits to the health and wellness of the senior population. Whether depressed, dealing with ongoing disabilities, or chronic illnesses, emotional support animals can be one of the best treatment options out there. Having an emotional support animal also helps to reduce depression and anxiety. It can reduce the stress hormone, cortisol, and increase serotonin, a feel-good hormone. Major triggers for depression in elderly people are loneliness and isolation. With an emotional support animal, many seniors often find companionship and friendship that helps them to cope with loneliness and isolation, and can alleviate depression for the senior. It can also help in coping with the loss of a spouse. 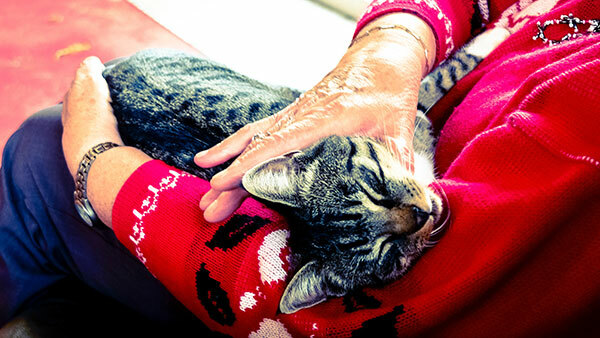 In addition, having an emotional support animal can provide mental stimulation for seniors. This can come in the form of talking about animals or even reading about them. This is of great benefit to those suffering from dementia and Alzheimer’s disease. Often those with dementia or Alzheimer’s suffer from bouts of agitation, while emotional support dogs can help to calm them. Those who suffer from loss of appetite due to these diseases have had improved appetite when having an emotional support animal. As previously stated, dogs are the most common of the emotional support animals, but there are other options. Cats, like dogs, are a fairly common choice. Other less common options include birds, rabbits, and hamsters all of which require less space and lower maintenance. The support for emotional support animals and seniors is fairly recent, but studies on the effectiveness of these animals continue to surface. Service animals have proven to be of great service to people with disabilities over the years, but the benefits do not stop with service animals. If you or a senior loved one is experiencing chronic illness, a mental disorder, depression, or loneliness consider talking to the family and doctor about getting an emotional support animal. This can greatly improve quality of life and increase the length of life. If you need assistance in the long term care and planning for your loved one, please contact our Marietta, GA office today to schedule a consultation.